Clubmark are now allocating all Clubmark clubs with a unique ID number/reference number which is automatically generated by Club Matters. This ID number will remain with the club for it's lifetime on Club Matters and Clubmark will use this number to locate a club in any communication/queries with England Netball or the club direct. The Clubmark ID number will now replace the use of Clubmark URNs which were previously generated by individual NGBs and CSPs. These new ID numbers will be uploaded on to the Club Matters website. We would encourage all clubs to familiarise themselves with Club Matters by searching for their Clubmark ID number. Abacas Netball Club with the Back to Netball Team Captain Alex Paske - who is new to netball development and fellow back to netballer. 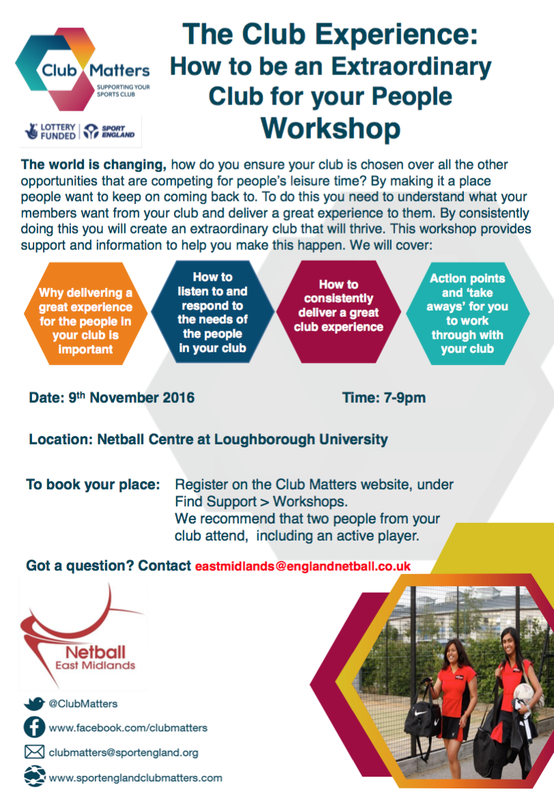 Alex contacted Clubmatters and they put together a case study of the club and how they used the workshop to give current and new members the best netball club experience. Unfortunately there was a delay in getting the video to us because of issues with software.